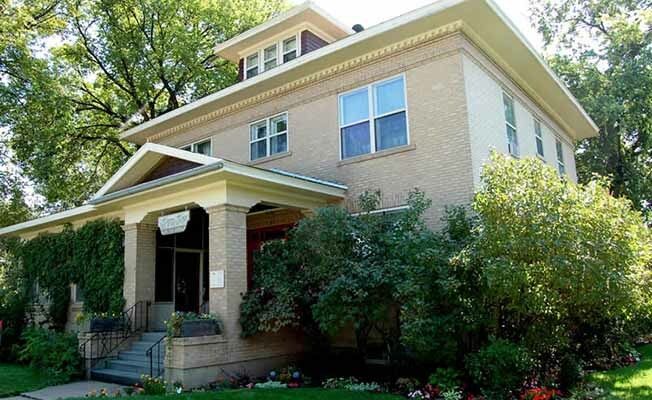 The Horton House Bed and Breakfast is located in the East Main Street Historic District of Miles City and has been restored to its original beauty The main floor of the bed and breakfast is decorated in the period of time in which the home was constructed, which is the early 1900s. Photos adorning the walls of the living room are of the Horton family, who arrived in Miles City around 1906. In addition to the living room, the main floor of the home has a dining room, a modern kitchen and something very unusual for the time it was built: a powder room. Each of the guest rooms highlight local influential historical personalities. Each of the rooms has an en suite bathroom and an air conditioner. The bathrooms are furnished with many fixtures original to the home, and they all are equipped with showers. Much of the tile work is original to the home, and the tile in the renovated bathrooms has been matched as closely as possible to the older tiles. The Horton House will offer a hearty breakfast each morning. We are located close to hiking, fishing and hunting.